think about starting a practice it seems too difficult or too time consuming. You feel you will do it when you have more time or when the kids are grown or when you retire. We think like this because we misunderstand what meditation really is. There are many misunderstanding about meditation that make the whole concept seem that much more daunting. But most of the myths surrounding meditation are simply not true. Meditation is actually simpler than you think. All you need to do is sit down, close your eyes and watch your breath. It’s as simple as that. So, let me try and shatter some of the main misunderstanding for you. 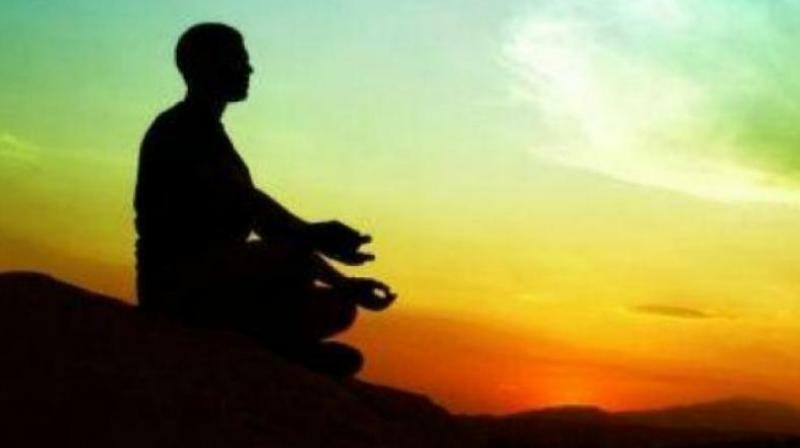 The myth – meditation is only for religious people. The reality – a lot of people think meditation is only for religious or spiritual people or Buddhists. But the truth is, meditation is simply about quieting your mind and finding peace in stillness and silence. Anyone can practice meditation; there are no religious or spiritual requirements whatsoever. In fact, I would encourage you not to get religion and meditation mixed up. They are two completely separate things. Everyone deserves to enjoy the benefits of meditation, which are becoming calmer, getting to know who you really are and taking back control of your monkey mind. Meditation simply gives you the tools to enjoy your life more calmly, peacefully, blissfully and lets you see what where changes can be made in your life. All of this helps you become the best possible person you can be. The myth – meditation is about stopping your thoughts and emptying your mind. The reality – I believe this is the biggest misunderstanding about meditation, and one that stops people from trying it out. People believe that you’re not allowed to have any thoughts when you meditate. And then, when thoughts do come, they think they’re “doing it wrong,” or that they’re not capable of “proper” meditation. This makes them give up. Meditation isn’t about emptying your mind or silencing your thoughts. Who would want an empty mind? What purpose would it serve? Meditation is about using your breath as an anchor, and then when thoughts come, which they will because it is natural, you let the thoughts go and bring your awareness back to the breath. The myth – I don’t have enough time to meditate. The reality – I know that people are busy these days, I am too. But I’m sure you manage to find 10 minutes a day to mindlessly look at Facebook, Instagram and so on. So why not use those 10 minutes for just sitting in silence? I know you will feel better for it. It is all about having priorities and being realistic. I understand that sitting for 30 minutes is not easy, but 10 minutes is totally doable. 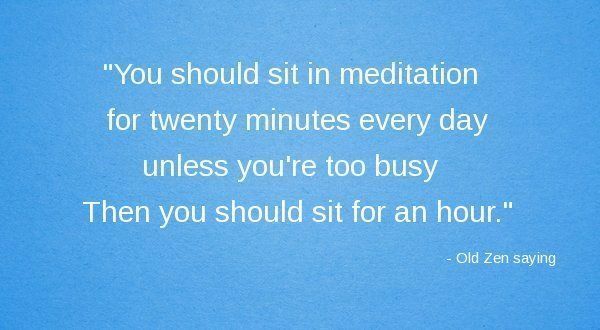 Whenever you start a meditation practice keep it realistic and only do 5 minutes a day for the first week. You can start to increase the time as and when you feel comfortable to do so. The myth – you only need to meditate when you are stressed. The reality – some people think they should only meditate when things are going wrong, and the rest of the time there is no need. It is certainly beneficial to meditate when stressed, but it’s more important for you to have a regular practice, because that will better equip you to deal with anxiety and stress in the future. Meditating when you are stressed is only firefighting, you are not getting to the root cause of the problem. Meditation will definitely relief your stress, there is no doubt about that, but for long term relief, you need to meditate every day. The myth – it takes years to feel the benefit of meditation. The reality – the benefits of meditation can be immediate, and they can be long-term; it really all depends on you and the effort you put in. By meditating for just a few weeks you start to notice increased awareness and less stress. Things that used to bother you will not be causing you so much trouble. You will become patient, tolerant, focused and better equipped to deal with whatever life throws at you. These are some of the main misunderstandings regarding meditation. So, now I have cleared them up for you, it’s time to meditate, so what are you waiting for? Sit down, close your eyes and just breathe. It really is as simple as that. If you want more information on how to meditate, watch my video. If you want to start meditating by doing guided meditation practices, go to my guided meditation page.